Lenovo has recently announced its new 15.6-inch laptop at the NXT BLD conference. The new Lenovo Thinkpad P52 laptop comes with ready VR features and sports top end specifications. To give you an insight, this new laptop comes with 8th Gen Intel Xeon hexa-core processor, a Nvidia Quadro P3200 GPU, with up to 6TB of storage, and as high as 128GB of RAM. 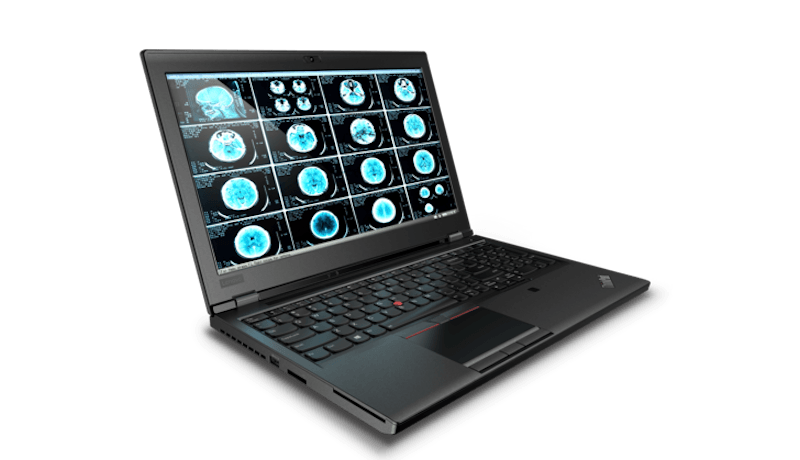 These specifications make the Lenovo Thinkpad P52 a killer choice for someone who wants to develop VR apps or is in the work of 3D graphic designing, or video editing. Although the price tag of this laptop hasn’t been revealed by Lenovo, it’s expected to be revealed in the coming month. Speaking of the display the ThinkPad P52 sports a 15.6-inch 4K/UHD display with 400 nits touchscreen. There is also an alternate of 1080 x 1920 pixel to choose from with 300 nits display and 72% NTSC as well. Like we mentioned above, the laptop comes with 8th Gen Intel Xeon hexa-core processor which comes accompanied with Nvidia Quadro P3200 GPU. As for RAM 128GB DDR4 (depends on the combination of ECC vs non-ECC) is included with storage of up to 6TB. Like the case is with the entire Thinkpad P series, this laptop also comes with a basic black design despite sporting killer performance. For wired connectivity, there are three USB 3.1 ports, Type-A, two USB-C/Thunderbolt, one HDMI 2.0, one mini DisplayPort 1.4, and an SD card reader. Other options include Gigabit Ethernet, Wi-Fi 802.11ac, Bluetooth 5, optional Cat 9 4G LTE. Speaking of dimensions, the Thinkpad P52 measures to be 377x252x25mm. As for the weight, the machine measures to be a hefty 2.5 kilograms. To satisfy every kind of developers, the company will ship the model with five choices for operating systems – Windows 10 Pro for Workstations, Windows 10 Pro, Windows 10 Home, Ubuntu, or Red Hat Linux. Lenovo Vantage and a trial of Microsoft Office 2016 will also come pre-installed with the machine. Lastly, the ThinkPad P52 will also sport an infrared camera for facial recognition in Windows Hello, and an additional 720p webcam as well for high-quality streaming and other purposes.